Dwayne Johnson is the hottest action star in Hollywood, and with good reason. His good looks, out of this works physique, and his captivating personality has made him a hot commodity in Hollywood. All those attributes are on display in the Summer action fare Hercules. The Brett Ratner directed film may not please mythological purists, but it’s a hell of an action film. While Hercules was known for his 12 labours, it’s apparent that Ratner didn’t find then important enough to focus on in the film. I admit, I was looking forward to seeing Johnson fight a lion, but if you have seen the trailer for the film, you’ve seen most of that battle. Instead, Ratner focuses on Hercules mission to protect Lord Cotys and the land of Thraces. Due to that focus, the audience gets an action­packed, violent ride featuring Johnson destroying everything in his path. Throw in a little comedic humor from Ian McShane, who plays Amphiaurus, and you get a fun, summer popcorn­flick. 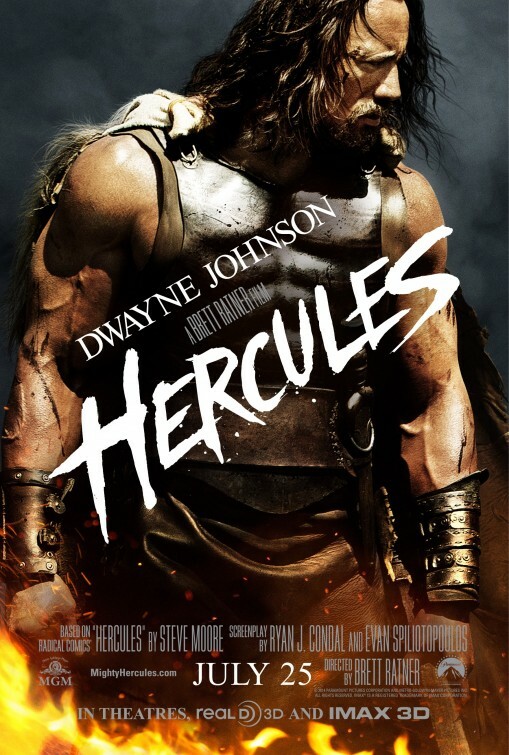 In conclusion, being a big­budget, summer blockbuster, I knew better than to expect a Hercules’ film focusing on mythology. Truth be told, I always found that topic a bit boring in school. Johnson shows once again why he is the top action star in Hollywood today, as he carries the cookie ­cutter script, while plowing through his enemy like bowling pins. Hercules is a fun summer romp, while not very memorable, it’s still a decent way to enjoy 90 minutes.